Remodeling the bathroom is often high on the priority list of any homeowner client. When trade pros want to make the most of their bathroom remodel budget, they head to ProSource® of Palm Beach. Our showroom is filled with the quality bathroom remodeling products, supplies, and materials you need at low wholesale prices you can’t find anywhere else. 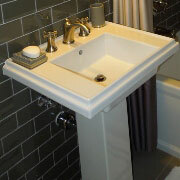 The bathroom sink is one of the most frequently used fixtures in the house. 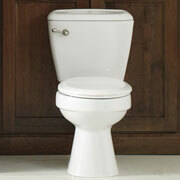 Since it is used so frequently, it’s often the focus of attention whenever anyone steps into the bathroom. When you visit our showroom, you’ll find sinks of all sizes, shapes, and styles that will fit your client’s every need. 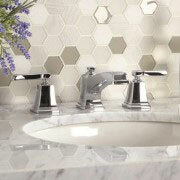 The bathroom sink faucet is an important part of unifying a bathroom’s decor and aesthetic. At ProSource, we offer faucets in any number of materials, styles, colors, and finishes. Trade pros will no doubt find a perfect match for their client’s new sink here at our showroom in Palm Beach. No bathroom remodeling project can be considered complete without spending some time working on the shower. At ProSource of Palm Beach, you’ll find a palette of products that you can use to update the shower, including doors, handles, heads, and other wholesale shower accessories. 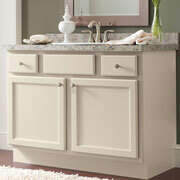 Perfectly balance storage and style with a new vanity for your bathroom remodeling project. A vanity offers your clients storage space with other elements like a mirror, a finished counter, and lights. Don’t let the size and shape of the existing tub dictate how you frame your bathroom remodel. 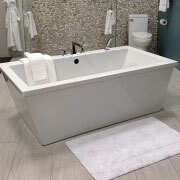 At ProSource, we offer tubs of all designs and styles, in a range of sizes that make it easy to put into any new bathroom. A new toilet is always a smart move for trade pros looking to improve the value and comfort of any bathroom remodeling project. Meet with our bathroom design specialists to discuss the water-efficient models we have in our showroom. They’ll save your clients water and money.